I am writing to you to share my story about a brave individual that passed away Dec. 19, 2016 at 2 a.m., trying to save the lives of others. 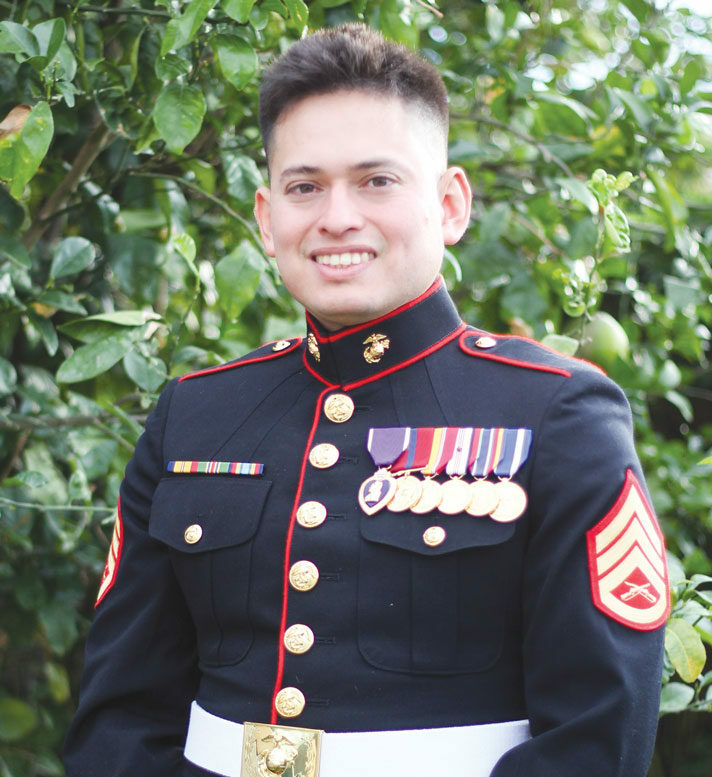 I am sharing my story about my (future) brother-in-law, Enrico Antonio Rojo, 29-year-old senior aviation unmanned systems major, staff sergeant, E-6 rank in the U.S. Marine Corps, a veteran. About 1 a.m. he and his fiancée, Michelle Medina, 34-year-old senior aviation inflight services major, were on their way to Los Angeles International Airport. I was in the back seat with my dad, who came along to help drop them off at the airport and drive their car back home to Palm Springs. Around the Loma Linda area, we witnessed a car rolling over five to six times on highway 10 right before our eyes — front and center. Enrico told Michelle, who was driving, to pull over. “There’s people still in that car and they need our help,” Enrico said. He quickly jumped out of the car, tried to stop oncoming traffic with hand gestures so he could rush to where the car had turned over. A semi-trunk stopped and was parked on the first (slower) lane (starting from the right side of the freeway). Another car stopped in the second lane and another car stopped in the third lane — every car stopped and put their hazards lights on. I was shocked and in disbelief over what I just saw. It felt like a real-life scene from a movie clip. I was shaking as I called 911. While I was on the phone, I heard a loud thud and my sister was screaming, asking where Rico was because we were not able to see him at the crash site near the overturned car. I looked around and could see a body that lay on the freeway cement about a quarter mile in a distance — far, very far. A car had hit him and he flew far, with such great distance. I quickly put the 911 dispatcher on speaker, laid my phone down on the cold freeway cement next to me and started chest compressions. After 30 compressions I instructed my sister, Michelle, to breathe two breaths as I helped position his head. I was able to do about 90 chest compressions before an officer or sheriff arrived to take over, but it was evident to me that it was too late. Afterward, I asked them if they knew anything about the car that had flipped over. They said they said she was fine. The purpose of my email was to recognize Enrico Rojo as a true hero. The officers and highway patrol officers referred to him as the “Good Samaritan” since they were not aware of his name yet. I told them it was Enrico Rojo and that he was just so quick to help. It must have been his military instinct. He was alert, selfless and brave. Enrico is a military veteran who also survived an IED explosive and was awarded the Purple Heart medal when he was in the active service. While attending CBU, he switched over to the reserves, going back to 29 Palms one weekend each month for his Marine duty. He is the oldest of his two other siblings. His sister is also in the military – Marines division, stationed at Camp Pendleton. I will include a picture of the two of them together. He was enrolled in California Baptist University, majoring in Unmanned Aircraft Systems, trying to obtain his bachelor’s degree and was to graduate in he spring of 2018. He resided in Ontario, Calif. The CBU Aviation Sciences Department held a celebration of life service for Enrico Jan. 14 in Innovator’s Auditorium.